Palms, pergolas, cannas and cakes will be among the attractions at a National Gardens Scheme (NGS) open garden in Drayton on Sunday, July 8. 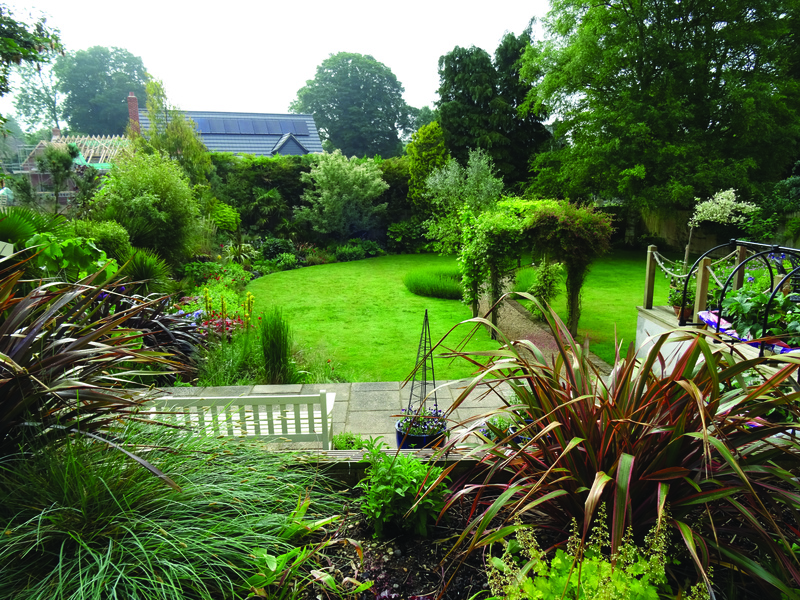 This year Chris and Wendy Fitch’s garden is the only one in Drayton or Taverham taking part in the prestigious scheme which sees some 3,700 of the country’s best private gardens opening to the public in aid of NGS charities. 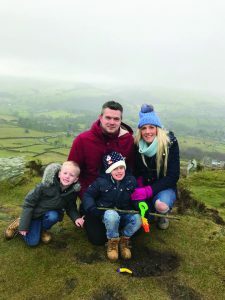 The couple will also be selling plants and refreshments on the day to raise money for the Cystic Fibrosis (CF) Trust, a charity dear to their own hearts. 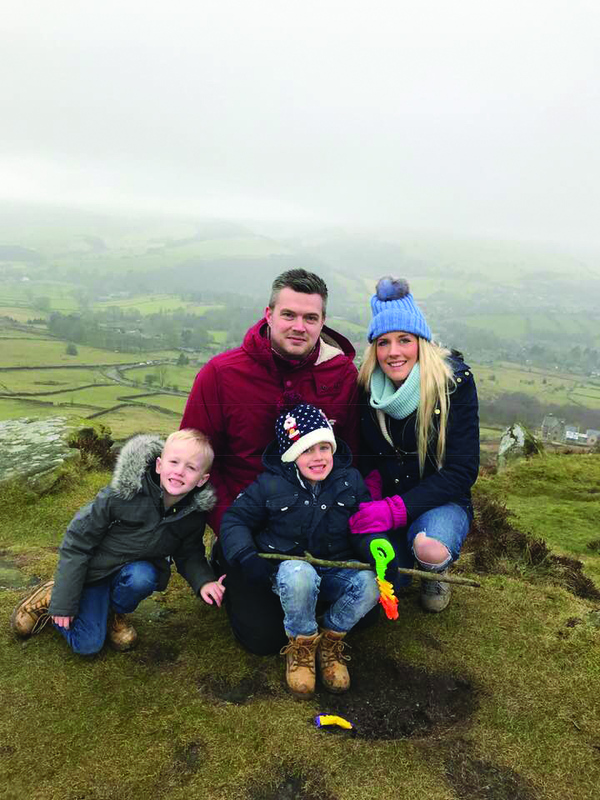 Jacob Hart, the seven-year-old son of their close friends Lucy and Andy Hart, was born with the life-limiting, incurable inherited condition. Lucy grew up and went to school in Drayton and Taverham and her dad, former postman Ian Manning, still lives in Drayton. The Harts, Ian, Lucy’s mum Carol and step-dad, plus Lucy’s sisters Emma and Laura Manning, are all dedicated fundraisers for the CF Trust. In the past Lucy and Andy have organised three charity balls for the cause at Norwich City FC’s Carrow Road ground. 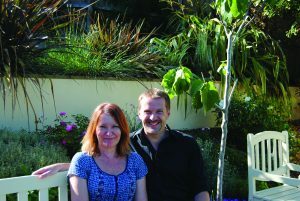 This will be the fourth year that Chris and Wendy have opened their garden for NGS and the CF Trust, with friends and Jacob’s family helping out to produce a range of homemade cakes and savouries to serve with a cuppa on the large decking area which overlooks their transformed garden. When the couple moved to Drayton eight years ago the quarter-acre plot was dull, tatty, unloved and neglected with no structure. 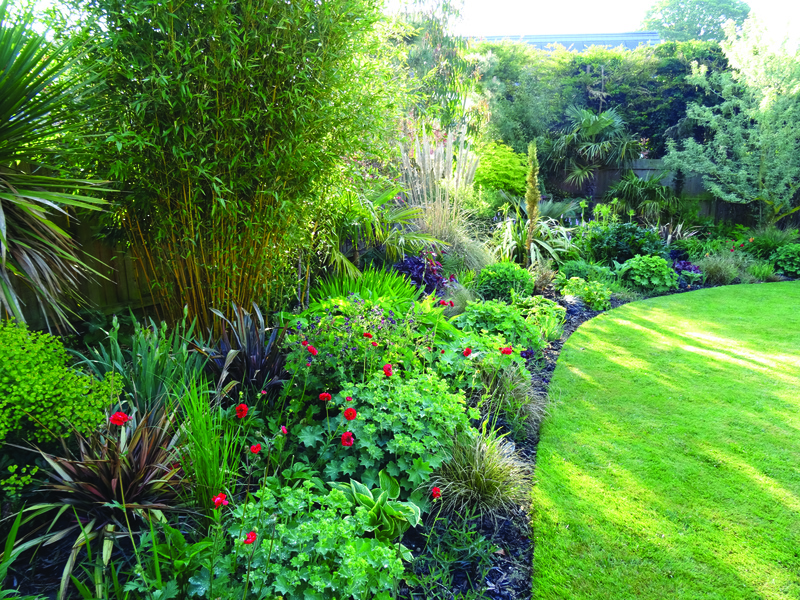 But the pair set to work and have created a stunning garden with different areas, and on different levels. Chris built all the infrastructure – including walls, fences and a pergola – himself, using recycled materials for much of it. 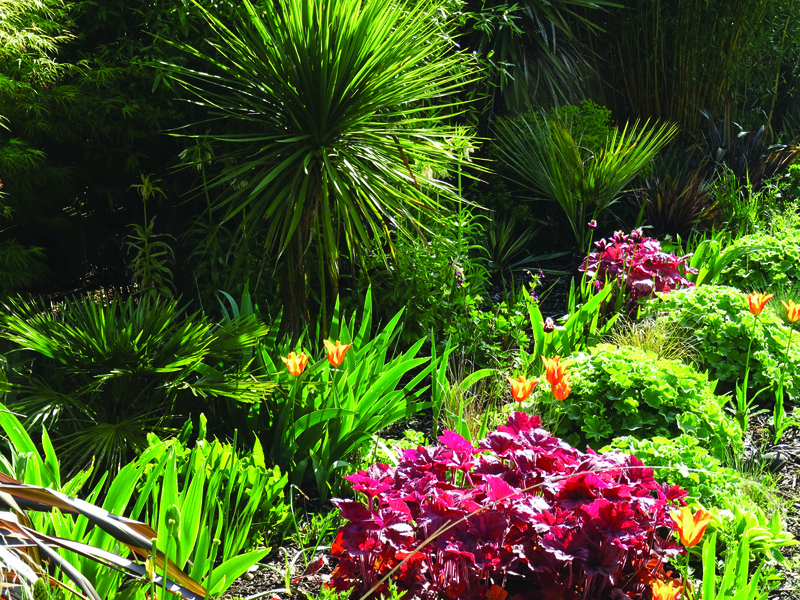 The garden, which backs on to St Margaret’s churchyard, includes a hot, tropical border filled with exotic plants such as the large-leafed tetrapanax, windmill palms, cordylines, bamboos, eucalyptus and acers. Lavenders, a grapevine and an olive tree are among many Mediterranean plants and there is also a more traditional border with masses of scented roses, plus a shady woodland corner. A terraced upper garden is planted with fruit trees and vegetables and the garden includes a secluded courtyard area. Cost: £3 per adult in aid of NGS charities. Accompanied children free. Plus: Plant sales, tea, coffee, homemade cakes and other goodies in aid of CF Trust. Cystic fibrosis is an inherited condition, caused by a faulty gene, that leads to a build-up of sticky mucus in the lungs and digestive system. The condition gets slowly worse over time, with the lungs and digestive system becoming increasingly damaged. Treatments are available to help reduce symptoms, but life expectancy is shortened. People with cystic fibrosis also have a higher risk of developing other conditions including weak and brittle bones, insulin, liver and fertility problems. They’re more likely to pick up infections, and complications if they do develop an infection. 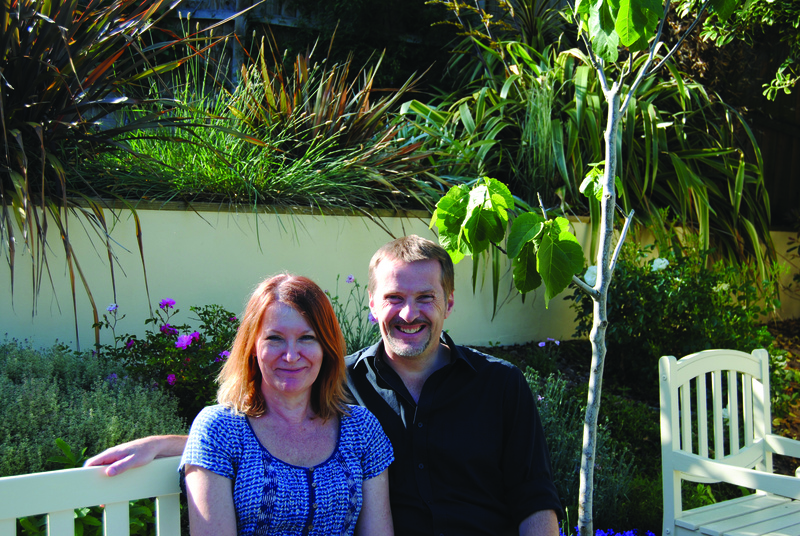 Pictured: scenes from Wendy and Chris’s garden, Wendy and Chris Fitch and the Hart family – Lucy, Andy, Jacob and Harrison. This entry was posted in Drayton & Taverham, Home Page and tagged Bellomonte Crescent, CF Trust, Chris and Wendy Fitch, Cystic Fibrosis Trust, Drayton, National Gardens Scheme, NGS on July 6, 2018 by Gay Webster.